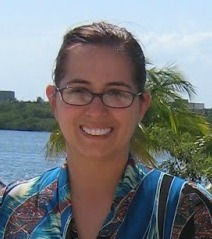 This compensated post was written as part of a blogging program through Latina Bloggers Connect and Zyrtec . All opinions are 100% mine. I love the summer season, with the summer comes trips down the shore vacations and relaxation. Sure the summer is full of fun things, but also for me it brings out all of my allergies, and with that comes sneezing, puffiness and just an uncomfortable feeling. Not a great thing, when I have so much planned for the summer. Allergy season is in full force. I know I have been suffering with seasonal allergies. This is something I have been suffering with since I was a little kid. When I was little I remember the old fashioned remedies my grandmother would use on me to lessen the effects of my allergy symptoms. The steam mist was a favorite of hers, to her steam could fix just about anything. Sure the steam would clear out my sinuses, and make me feel better… but have you ever covered your head in a towel and seaming your face in the blazing heat of the summer? Oh it is not fun at all! I just remember, feeling so hot and uncomfortable. Gran was also very much a fan of cucumbers on the eyes to reduce the swelling, luckily we had a lot of cucumbers growing in the garden and the vegetable was readily available whenever we needed. My grandmother always taught me the importance of a garden, to save money and to help with natural home remedies. Did you know that two thirds around 66 percent of women have felt ugly or unattractive because of their ALLERGY FACE™. I can see why we would feel like this, allergy face can bring puffiness, red eyes, and just a not too attractive look on the face. · How to Avoid Irritating a Red Nose: Use baby wipes instead of tissues, which are gentler on the skin. · How to Relieve a Puffy Face: Try drinking watermelon juice. Watermelons are a high water content fruit and are an excellent source of antioxidants. · How to Help Hydrate a Puffy Face: Eat more fruits and vegetables like cucumbers, celery and zucchini all of which have high water content. Citrus fruits and berries are also rich in vitamin C.
· How to Refresh Your ALLERGY FACE™: Place two metal spoons in the refrigerator and then place the back of the spoons on your eyelids for five minutes. Throw away old makeup! Remember that mascara should be tossed out every two months, foundations and concealers every year and lipsticks should be checked for discoloration every three months. It’s important to wash dirty makeup brushes monthly. Just use a small amount of shampoo, face wash or antibacterial hand soap and rub it through the bristles and then rinse thoroughly with warm water. Oh boy, I have quite a lot of makeup I have to go through! I hate to admit it I keep makeup for way too long, if I look I am sure I can find some eye shadows and blushes from the 90’s, I know , I know I have to get moving on clearing out my old makeup. I never knew the makeup had such a short shelf life, I have to sort through my items soon! Follow Carmen on Twitter at @VivaFashion and her blog www.VivaFashionBlog.com for her latest ALLERGY FACE™ tips and tricks. What health tips did you learn from your mom or grandmother? I would love to hear some of your tips! My Mom has always said a glass of carrot juice helps refresh and invigorate one's skin. I do the metal spoons tip but hadn't thought about the others. Thanks for sharing them with us. Our whole family has major allergy issues. 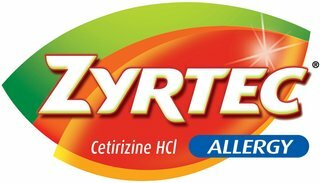 A few of us have used Zyrtec and it does make a huge difference! I am so glad that I am not the only one who still has makeup from the '90s...LOL! I really need to up my water intake, I don't really get allergies but I think my skin suffers a lot from not drinking enough water. Those tips are so awesome!! I don't have allergies but I do have a horrible cry face! Awww, I love home remedies that are passed down. So neat! My allergies have been really awful this year.. it's been a long time since I had to deal with them.. it hasn't been fun. Thanks for these tips! I've had that allergy face all summer long. Thanks for the great tips! I am one that keeps makeup too long too. It is hard to throw out good makeup just because you had it a long time. I had no idea about the watermelon juice either, great tip. Thanks for your wonderful tips.. I use the metal spoon tip, too but the others are super cool and I have to try them... Zyrtec is a stable in our home, too.... lots of allergies but thanks to Zyrtec we can keep them under control.